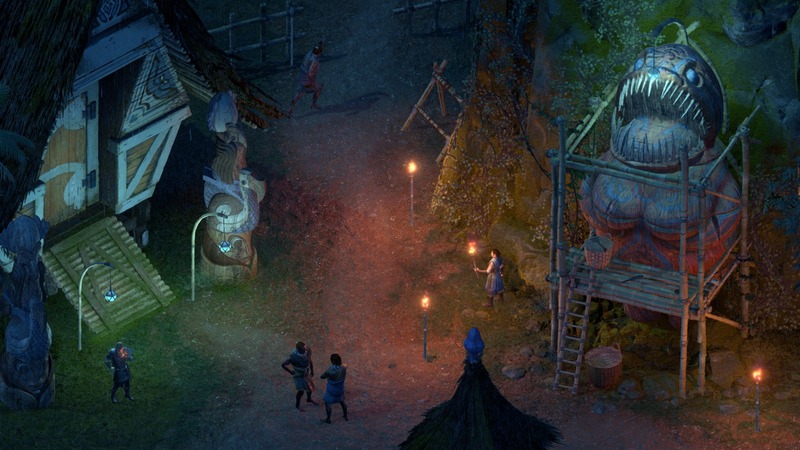 Pillars of Eternity II: Deadfire, the new role-playing game by Obsidian, has been revealed only last week, but things are already looking good, as it has reached its funding goal in less than 24 hours. Now that the game has been funded, the team started sharing more on their vision for the game and some of its central mechanics. A few hours ago, a new Pillars of Eternity II: Deadfire video has been shared online, focusing on multi-classing. As the game is still in the early phases of development, the goals for the system may change, but things definitely sound good so far. Hello again, backers and fans! In this design update, Pillars of Eternity II: Deadfire Game Director, Josh Sawyer goes into detail about the specifics of multi-classing in Deadfire. Learn all about our goals for the system and how classes advance. Following the reaching of the funding goal, Obsidian announced additional stretch goals that will allow the team to add even more features. Among the confirmed ones are additional classes, a level cap increase and more. Polish localization is next, along with Xoti, the awesome priest/monk character who can join your party — both of which will be unlocked at $1.8 million. We gave you plenty of info on Xoti in our previous update, so we wanted to focus this update on the $2 million stretch goal: player AI scripting for companions and Spanish language localization! Pillars of Eternity II: Deadfire launches sometime next year on PC. We will keep you updated on the game as soon as more comes in on it, so stay tuned for all the latest news on Obsidian’s next role-playing game.